The nights are drawing in and the spirit of Halloween is in the air, so it is perhaps fitting that Loco’s recent postproduction finishing work features Death personified. 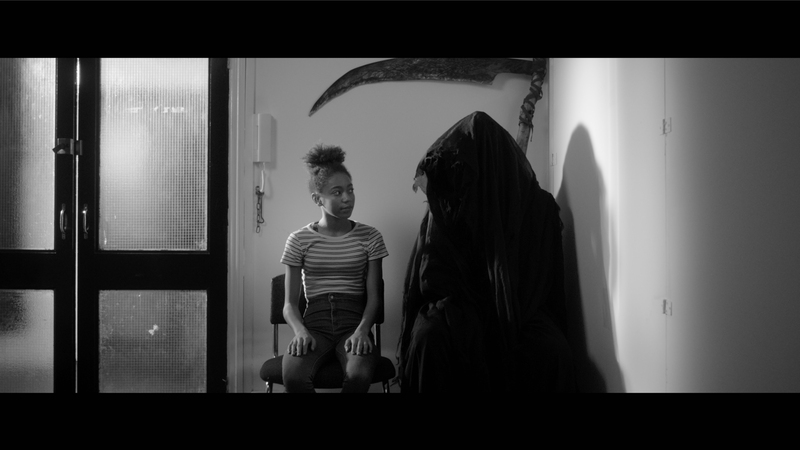 Loco’s Jon Davey created a black and white grade for award-winning writer/director Carl Prechezer’s latest project, Dead Good. But this is no gloomy fright fest. Indeed, it may come as some surprise, but the Grim Reaper loves to dance. Hip hop is his passion. Carl originally conceived Dead Good as a short film, but it appears destined to take on an (after)life of its own in the form of 13 episodes. The sizzle film premieres on Halloween and sets the stage for a development partner to commission the full series. Free from dialogue, yet full of action and emotion, this innovative project makes you want to get up and dance and raise a cheer for the underdog hero, The Grim Reaper. Carl’s cast and crew includes a host of talent including up-and-coming young actress Amelie Hurley, a mysterious dancer/magician who is still to be revealed and costume designer Lou Prechezer (née Durkin) who created this season’s essential hooded shroud look so Death can dance. DOP Cliff Evans and Steadicam wiz George Simpson shot the sizzle on the Arri Amira in log colour, and colourist Jon Davey worked his own magic with DaVinci Resolve to match Carl’s vision of a classic black and white filmic look. Loco is excited to be part of a project which is fantastically creative in its look and storytelling approach as well as innovative in its embrace of the modern format of digital distribution. We look forward to following the continuing adventures of the Grim Reaper and his friends and hope you do too. The YouTube link features the trailer and the full sizzle. For more about Loco’s colour grading, click here. For Loco’s VFX, click here.